SpeedTalk Mobile is one of the leading providers of cellular technology. We provide a variety of flexible wireless plans to meet your needs. No contracts, No credit check. SpeedTalk is compatible with any 2G, 3G & 4G LTE GSM Smart Watches and Wearables. 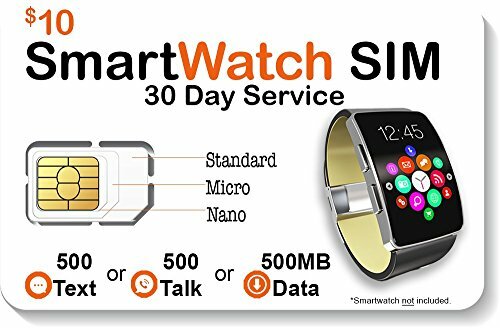 SpeedTalk Mobile's GSM SIM card enable smart watches and wearables to run apps, receive notification, send and receive text, make and receive phone calls, and tracking capabilities for kids/pet/car GPS trackers. Nationwide service in partnership with T-mobile network, including North America (US + Canada + Mexico) roaming. Check Coverage at STKMap.